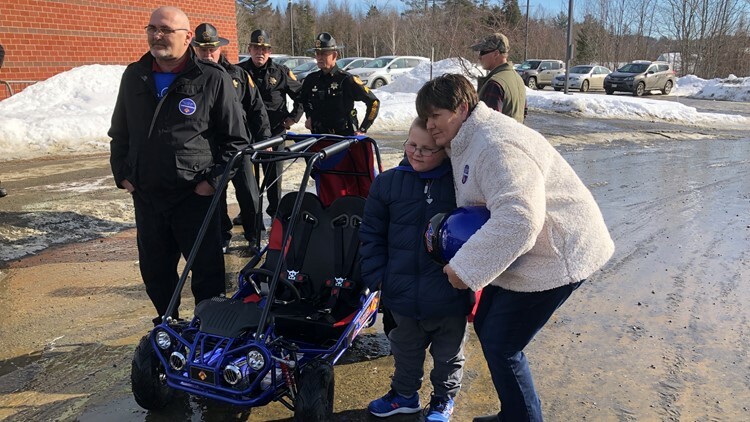 Make-a-Wish surprised Abel Richardson with a superhero-themed Go-Kart at his elementary school. GUILFORD, Maine — Since 1993, Make-A-Wish Maine has been granting wishes for children who are critically ill all over the state. On Wednesday, in Guilford --- wish number 1,500 was to a six-year-old boy battling a brain tumor. 6-year-olds Abel Richardson is battling a brain tumor in his brain stem. His wish was to have a superhero themed Go-Kart. Surround by his family and friends at Piscataquis Community Elementary School, Abel was surprised during an assembly to kick off winter carnival at school. Check out the video to see Abel's reactions.